Singapore Shipping Enterprises Pte. 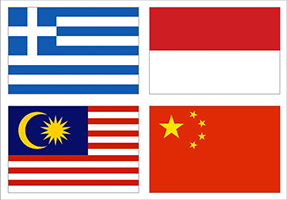 Ltd. has formed a range of strategic partnerships with Greek, Indonesian, Malaysian and Chinese counterparts through which we are able to offer comprehensive coverage of ports in Indonesia, Malaysia and China respectively. Our commitment is further enhanced with top quality service at competitive cost. We believe this close personalised service with our clients will maximize voyage returns for their ships calling at these ports. This strategic partnership has improved the quality and management information and provides quicker operational turnaround.